Aug. 27, 2015. We are very pleased to announce that we have completed the team roster with the acceptance of Dr. Arliss Thompson W7XU to the Heard Island Expedition. Arliss will serve as the expedition doctor, including planning, risk reduction, and medical response onsite. Arliss’ accomplishments are spectacular: His formal education includes a B.S. in Mathematics, B.S. in Wildlife Scinece, and an M.D., with specialty in emergency room medicine. As the expedition doctor, he will enable the team to be properly prepared, help reduce risks in the plan, and respond to medical needs of the team members. In the 1970’s he was an alpine ski racer. He spent three summers on survey crews and one summer as a sheepherder in the Gravelly Range in Montana. He did work-study with the Oregon State University Dept. of Oceanography hat included cruises in the eastern Pacific assisting with conductivity-temperature-density studies. He spent two months aboard Japanese trawlers in the Bering Sea while serving as a foreign fishery observer for the National Marine Fisheries Service. His duties included sampling the catch for monitoring purposes, carrying out marine mammal watches and collecting specimens of fish that had not previously been documented in the Bering Sea . He also worked for the US Forest Service doing stream surveys for the EPA. In 1981-82 he was employed by ITT Antarctic Services as the communications coordinator (chief radio operator and repair technician) at the Amundsen-Scott South Pole station (90 degrees south), including overwintering. His duties involved long range communications with aircraft and handling day-to-day radioteletype and voice communications with other Antarctic bases. He was the chief operator of KC4AAA. Arliss subsequently completed a residency in Internal Medicine, but was hired by an emergency medicine group, so he has only practiced emergency medicine. In ham radio he enjoys operating CW, SSB and RTTY. He has been on DXpeditions to: FY, 8R, CE0Y, 9G, CY9, J3, VP2V, FJ, TZ, C5 and VP8 (Falklands). 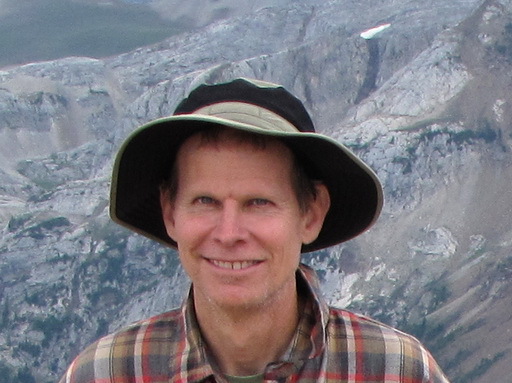 He is a member of the VP8 DXpedition scheduled for January 2016. He has also operated from KC4, KL7, KH6, VY1 and a number of Canadian provinces. He enjoys contests and pile-ups, regardless of the mode. He participated in the WØSD multi-op ARRL RTTY Roundup effort, with a number of top 3 placings. He has also held some meteor scatter distance records on 222 and 432 and have also worked all lower 48 states on 2m without EME. Arliss bicycled from Oregon to Washington, DC, then up into Newfoundland and back to Vermont in 1980. He cycled in New Zealand, Australia and SE Asia enroute home following his year in Antarctica. He continues to be an active cyclist. He hiked about 350 miles of the Pacific Crest Trail in May of this year. He has a commercial pilot license with IFR rating. He was a police reserve officer for 10 years with a “Distinguished expert” pistol rating, but retired 3 years ago. Aug. 15, 2015. We are very pleased to announce the addition of Jim Colletto, N6TQ, to the Heard Island Expedition team. Jim brings energy and resourcefullness to a variety of critical aspects of the project. After high school, Jim spent a stint in the U.S. Coast Guard and then graduated with an Bachelor of Science in Ocean Engineering from Florida Tech. Jim also holds an MBA in International Business from Georgetown University. Jim was first licensed in 1976 (7th grade) as WB6ZHZ and then acquired the call N6TQ in 2011. 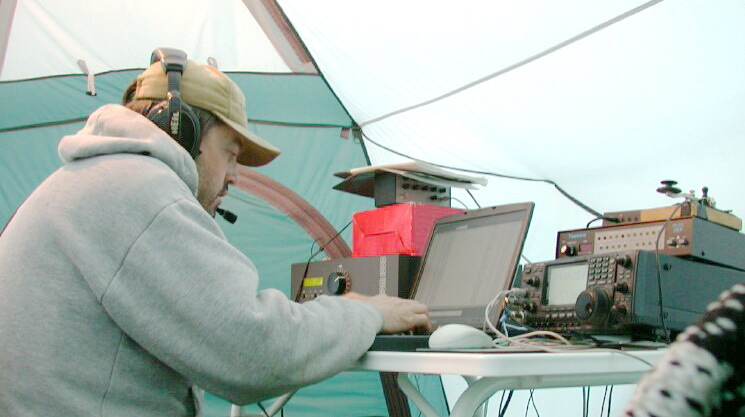 Jim enjoys DXing, Lowbands and 160m contesting. Jim recently made DXCC Honor Roll and believes the Heard Island trip strongly aligns with his passion for adventure, having spent six weeks trekking in the Himalaya (1998), two weeks trekking in the jungles of Laos (1999), four weeks tracking the white-desert rhinos of Namibia (2000), summitting Kilimanjaro (2002) and, most recently, operating from the remote Tuli Preserve in eastern Bostwana (A25TQ – Sept 2014). Jim is currently between jobs, giving him the once in a lifetime opportunity to participate in the Heard Island expedition, after spending his first career as a pipeline engineer and his second at Cisco Systems, Inc., most recently helping transform the company’s product support organization. Aug. 15, 2015. 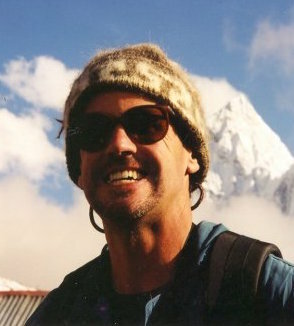 We are very pleased to announce the addition of Fred Belton KM4MXD, to the Heard Island Expedition team. Fred will primarily work with other team member sfor the exploratory science and research on the island, altoguh he may also do some radio operating as well. Fred is a retired university mathematics instructor and former electrical engineer. He holds a B.S. Electrical Engineering, University of Tennessee, 1979 and M.S. Mathematics, University of Memphis, 1995. Fred has traveled in more than 100 countries and territories and done extensive trekking in many of them. He has made two 3 year “world exploration” trips. He is particularly interested in volcanoes, has climbed around 50 active volcanoes worldwide, and has spent much time exploring volcanic terrain. In 1997 he became focused on Ol Doinyo Lengai in Tanzania, the only volcano that erupts natrocarbonatite lava. In 1999 he assisted a German film team with a television documentary there. From 2000 until the commencement of explosive activity in 2007 Fred organized and led Ol Doinyo Lengai expeditions for scientists, photographers and film teams. Expedition members spent a week at the crater while it was erupting and were able to observe the activity at night, an experience shared by very few people. In conjunction with the expeditions, Fred collected lava samples and worked with a geology graduate student on data collection and research to investigate the possibility of tidal influences on magmatic activity. Fred was originally licensed as WB4YRM, but currently holds WM4MXD. Iceland: Hornstrandir Peninsula 23 day exploration/unsupported trek- Aðalvík to Norðurfjörður. Iceland: Interior Highland Plateau (across Ódáðahraun south to north) 14 day unsupported trek climbing shield volcanoes and tuyas including Herðubreið. Iceland: Exploration of Laki fissure area out to Vatnajökull and Skaftá River. Italian Dolomites: Numerous via ferrata routes. New Zealand: East Matukituki Traverse. Romania: Făgăraș and Piatra Craiului ridge traverses. Mitchell, R. H. and Belton, F. (2008). Cuspidine-sodalite natrocarbonatite from Oldoinyo Lengai, Tanzania: a novel hybrid carbonatite formed by assimilation of ijolite. Mineralogical Magazine,72. (6), 1147-1162. Kervyn, M., Ernst, G.G.J., Klaudius, J., Keller, J., Kervyn, F.,Mattsson, H.B.M, Belton, F., Mbede. E., Jacobs, P. 2008. Voluminous lava flows at Oldoinyo Lengai in 2006: Chronology of events and insights into the shallow magmatic system. Bulletin of Volcanology. 70: 1069-1086. Kervyn, M., Ernst, G.G.J., Harris, A., Mbede, E., Belton, F., Jacobs, P. 2008. Thermal remote sensing of the low-intensity carbonatite volcanism of Oldoinyo Lengai, Tanzania. International Journal of Remote Sensing. 29: 6467-6499. McFarlane, D. A., Lundberg, J., and Belton, F.A. (2004). An Unusual Lava Cave from Ol Doinyo Lengai, Tanzania, Journal of Cave and Karst Studies, 66. (3), 98-101. Mitchell, R. H. and Belton, F. (2004). Niocalite-Cuspidine Solid Solution and Manganoan Monticellite from Natrocarbonatite, Oldoinyo Lengai, Tanzania, Mineralogical Magazine, 68. (5), 787 – 799.